Hang with me. I’m amped, I motivated, I’m psyched, I’m downright manic – and I only have a short time before this feeling fades to make as much progress as I can, including pumping this blog out to you. Actually the weather when we left Denver, but Indy was very similar upon our arrival. The weather bothered a lot of people, me too actually, but at least I was used to and prepared for it. I just got back from CSM (APTA’s Combined Section Meeting) and I have the same feeling I always do after one of these conferences – I need to make an impact, and I need to do it now. For those of you who may not be familiar with CSM, it is a 4 day conference held annually that brings together over 10,000 PTs, PTAs, and students for some high level education. Well, education is the pre-text, I find myself more drawn to the social… excuse me, “networking” events. The reunions with old classmates, professors, colleagues, and friends are totally priceless. These people, automatically by being at the conference, are also all jacked up about PT and what we need to be doing to make it even better. So, while I indulge heavily in the social “networking opportunities,” I look forward to the conversations all year: Conversations about the research friends are engaged in, different practices in different clinics around the country, and what every individual therapist is doing to improve PT and all of healthcare in their communities and nationally. Don’t get me wrong, I found the actual, formal programming fascinating too and have several clinical-pearls to bring back to the clinic an implement immediately, but I just love getting together with everyone. Lots of education, meetings, and receptions at CSM. Luckily many of the meetings come with ample networking and a cash bar. CSM is an ultra-boost, one of the highest forms of motivation, but not everyone can or needs to go to CSM. BUT! Everyone should do something to get a similar charge. As travelers we can exist very isolated in our individual silos unless we make a concerted effort to expand our horizons and take in some new information. There’s a certain stereotype of the traveler out there that just simply doesn’t apply to the vast majority of travelers – let’s give this stereotype a name, how about “Clint” – definitely just a random name, yeah, random. Clint is a lazy slob. Clint hasn’t had a meaningful continuing ed experience in 4 years. Clint is at work to survive the day and definitely not to excel. The thing about Clint is, I’ve never met a traveler like him. Travelers are generally insanely fascinating people who have the motivation, gall, and cajones to drop convention and get out on the road. A seasoned traveler can be dropped into a clinic on Monday and be completely indiscernible from the permanent staff by Wednesday – a true chameleon. In PT these days, autonomous is a hot word. If there’s anything more autonomous than loaning your services out for 3 months at a time to the flavor-of-the-month employer, I haven’t seen it. A traveler is truly autonomous, highly resistant to the negative influences that colleagues, bosses, and referral sources can build over time. The hyper-autonomy of the traveler’s life, moving from place to place and determining your own path, can be isolating. We must seek out education and motivation if we don’t want to end up like Clint. 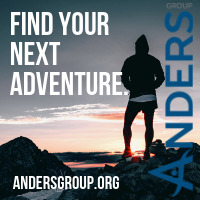 There are tons of great options out there: Courses offered locally during contracts, courses offered at a distance on a road trip between assignments, state meetings of your professional association, and more long-term certificate and specialization courses. We must make sure we get out there and get supremely jazzed-up by interacting with other professionals and finding out what else is happening beyond our small sample of personal experiences. There’s nothing worse than seeing a new traveler show up to a job with all the confidence in the world that they know everything there is to know. A traveler will learn over several assignments that while there are great things about the way they have been taught to treat already, there is much, MUCH more to learn. Let me be clear, mastery of treatment and skills does not come from one clinic or one model of treatment, it comes from exposure to a great expanse of different treatments and styles over years (another advantage of travel). Sunrise in the Indy airport after the last night of CSM. As you can see, the weather did get better, it was actually pretty nice by the end of the conference. So, go find your own CSM. 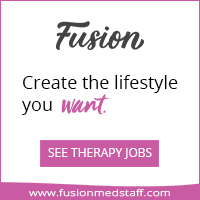 Whatever gets you excited about your PT, OT, or SLP career, explore it in more detail, get exposed to all the different tangents that surround it. Put yourself in groups of other therapists and talk about what you do – more importantly, listen to what others do. I’m psyched, I’ve got video gait analysis techniques to implement, new post RTC repair techniques to use, emails to send to old friends to tell them how nice it was to see them, and emails to new friends to ask them to tell me more about their projects and passions. While out exploring the country, get invigorated, don’t get isolated in your own silo, don’t justify the stereotype of Clint. Being a traveling Physical Therapist really has its benefits. Seriously, getting paid to move all over the country? People take entire years off of their jobs and normal lives to do what we do. For the special person willing to live a mobile lifestyle, traveling PT is an easy choice. But, every so often I consider the downside to being a gypsy, a transient, a vagabond. A few months in a place is plenty to let a community leave its mark on you – I have good memories and have learned something from every single place I have worked. But, it can be a real challenge to leave your own mark on the places you visit. Being a part of a community comes in a lot of different forms, and people will accept you as one of their own at varying rates. Some places are quick to accept you as a “local,” other places require that you are born local and see so many people come and go that they will never fully let you into their inner circle. Having a sense of community, and feeling like you belong and are accepted where you are can be a very difficult part of travel PT. Being a part of a community is a two way street. You have to find a way to absorb some of the traditions and culture of a place into yourself, but also you must contribute to the experience of the people you work with, the larger community, and if you’re lucky, the great friends you make while on assignment. Every time a clinic asks you to extend your contract^ or your coworkers are sad to see you go, you’ve done something right and made your mark. Lift Jan. 26th | Dr. James Spencer from Aspen 82 on Vimeo. I’ve been coming back here to Colorado on winter contracts for 6 years now and am starting to have my own identity in the larger community. But, I’ve realized that many of the small things I’m doing now to strengthen that identity, could have been done years ago. I can probably do these things early on future assignments. What kind of things? Advocacy! Being involved in advocacy is great on so many levels. You’re becoming involved in your profession and advocating for your own self and interests, you’re taking an active role in your career and taking action on the issues that affect and matter to your co-workers and patients, and, when done right, you’re making a valuable contribution to whatever community you’re in. Advocate for your profession, advocate for your coworkers, advocate for your patients, advocate for yourself. The return to Colorado each year has helped me fill that sense of belonging to a community that I otherwise miss in travel PT. I have built a social circle here with good friends, co-workers, and other acquaintances around town. But, outside of the personal relationships that take time to build, I believe there is a lot I could have been doing earlier to make myself a part of the community and not just a passer-through. I’m in the process of re-upping my Hawaii license for a second assignment there this spring. The locals there can be a tough group to gain acceptance from, so we’ll see if my ideas to advocate for the profession early in an assignment have some merit to them, or if I’ll flop. It can’t hurt, no publicity is bad publicity… an interview on preventing swimming injuries? Yeah, that sounds easy enough. Until next time, travel safe. I’ll try to write more frequently! ^ Footnote: Most of us PTs and PTAs are just terrible at business and negotiating. I was talking with a friend recently and telling him a story about a friend who had done 3 contract extensions at one facility. He was surprised to hear that a contract extension should come with a raise. It is my experience that if a contract is extended for a few months (which happens frequently when things are going well), you should ask your recruiter for a small hourly raise. Just my input on another small way us PTs can better advocate for ourselves.